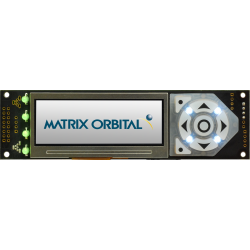 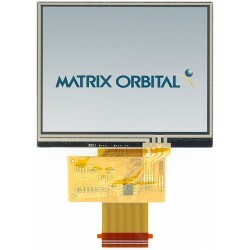 Matrix Orbital offers a wide range of Serial TFT Display solutions with many different features and options including custom and semi-custom solutions. 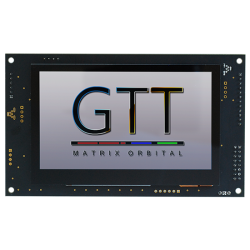 GTT Series is a powerful UART HMI Serial TFT display (RS232 & TTL) also is available in I2C, RS422, USB and Ethernet communications interfaces. 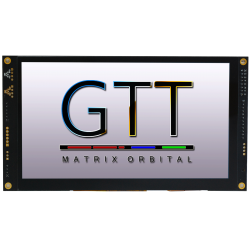 Combined with the GTT Designer HMI GUI Software enables a fast and beautiful GUI designed in minutes. 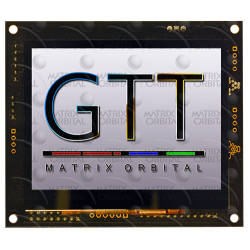 With other features such as tactile haptic feedback, piezo buzzer, general purpose outputs, tactile keypad and matrix keypad. 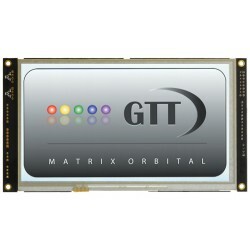 The GTT includes many power options, such as 3.3V, 5V, 12V, 24V up to 40V. 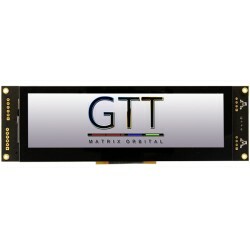 Many custom header solutions are available for almost any application. 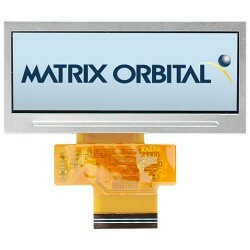 Parallel TFT interface displays are a low cost solution with high customization. 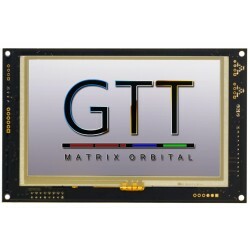 Our 4bit/8bit, 16bit RGB TFT or 24bit RGB TFT parallel displays come in Alphanumeric LCD/VFD and Graphic LCD or TFT with many available sizes. 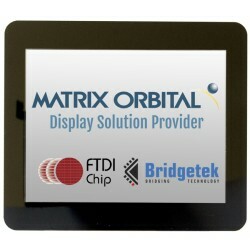 EVE2 & EVE3 SPI TFT EVE2 uses the FT812 or FT813, the EVE3 uses the BT815 or BT816. 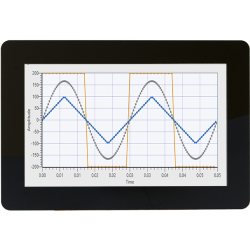 The EVE2/EVE3 is a powerful controller which provides a powerful feature set in a small package to create dynamic Human Machine Interfaces (HMIs). 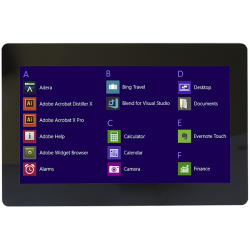 With built in graphics operations, sound synthesizer, digital filter and support for multiple widgets you can create your own stunning screens and interfaces with the EVE Screen Designer software. 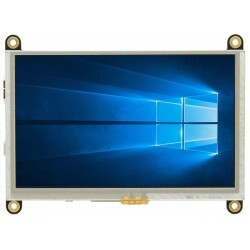 HTT HDMI TFT are plug and play HDMI/DVI HMI displays with USB touch screens for Raspberry Pi, Windows, Linux, BeagleBone and many other systems. 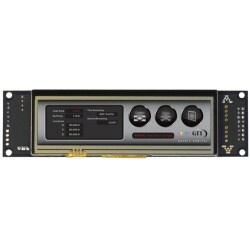 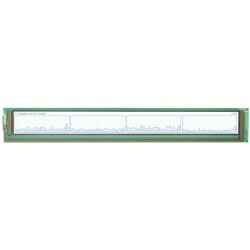 Vertical and Horizontal headers available for panel mounting and 24V industrial power.